We use apostrophes in contractions to indicate that letters have been removed. The two words have been joined together and the letter ‘o’ has been removed. The apostrophe shows the place from where the ‘o’ has been taken away. The two words have been joined together and the letters ‘h’ and ‘a’ have been removed. The apostrophe shows the place from where the ‘h’ and ‘a’ have been taken away. This one is a little more complicated. Again, the two words have been joined together, but ‘ill’ has been replaced by ‘o’ — however, no apostrophe is used here. 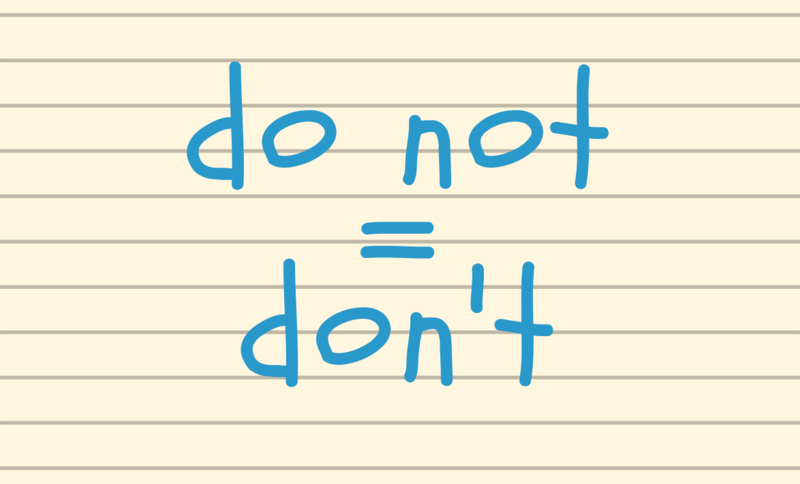 The ‘o’ has also been removed from the word ‘not’ — the apostrophe shows that the letter ‘o’ has been removed. Re-write the following pairs of words as contractions.